Students voice concerns about politics and society during breakout sessions. 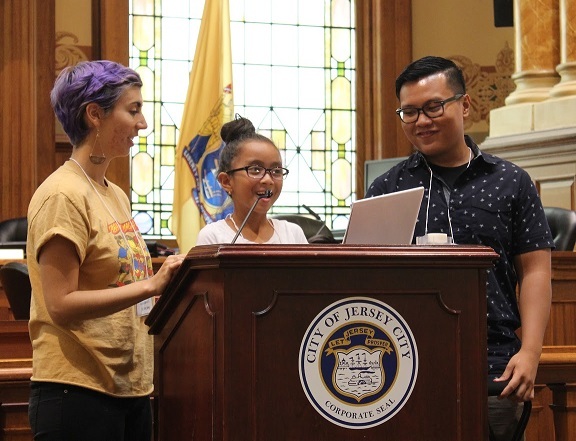 Youth and students across the Tri-State gathered in Jersey City’s City Council Chambers July 29 for the first-ever Sulong! Filipino Youth Leadership Summit. Participants ranged from young children to high school and college students to professionals. They came from schools all over the East Coast such as Binghamton University, New Jersey City University, and Hunter College. The event featured workshops, panel sessions, and cultural presentations to learn leadership skills for advancing the rights and welfare of Filipino communities. Campus clubs and community organizations participated in a day of Filipino history, dance, and action. “It’s always been youth movements that move the needle on social justice. 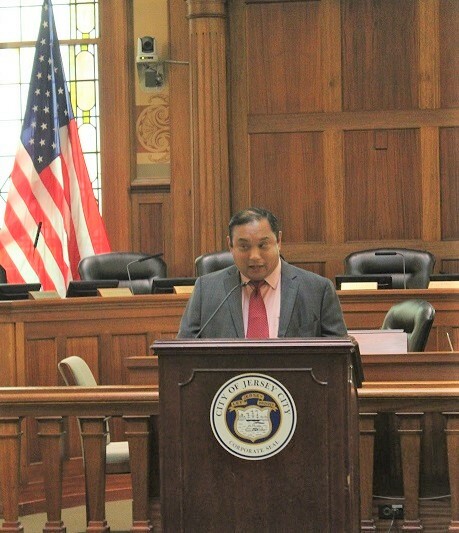 This is your time and your opportunity and I hope and pray that you take up the challenge,” said Jersey City Council President, Rolando Lavarro in his welcome remarks. He commended the participants for taking time out on a Saturday to dedicate themselves to attending the summit. The summit hosted workshops on various topics. The (Re)Defining Leadership panel explored the type of youth and student leadership that “serves the people.” This was followed by a panel where members of Migrante New Jersey, Anakbayan New Jersey, and GABRIELA New York shared the issues of lack of affordable education for the youth, persecution of immigrants, and violence against women. Another panel on building solidarity across different communities featured the Undoing Racism Committee, Students for Justice in Palestine-New York City, Wind of the Spirit Immigrant Resource Center, which covered issues of racism, colonialism, and immigration. It further stressed the need for young Filipino leaders to link up with other marginalized communities. The last workshop, Building People Power, provided participants with tools for community organizing. The summit was organized by KBKN, Anakbayan-USA, Filipino Youth International of Pace University, and the National Alliance for Filipino Concerns. 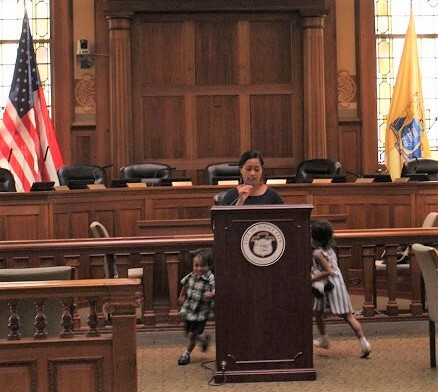 Venessa Manzano of The Filipino School of New York and New Jersey urges youth to uphold their heritage, as her children playfully circle her podium. 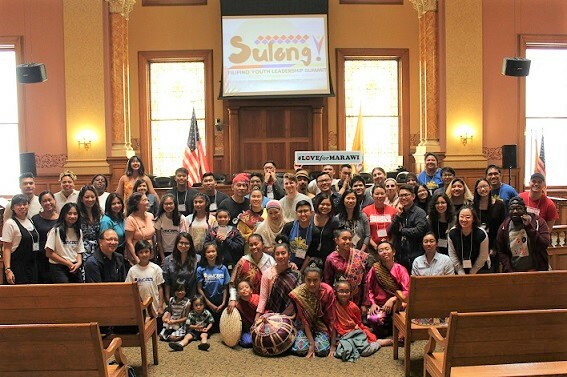 The Sulong summit is part of a concerted effort to build a “national Filipino youth movement” that can harness the power of Filipino youth in the United States. Filipino organizations such as Anakbayan-USA, Kapit Bisig Kabataan Network (KBKN), the National Alliance for Filipino Concerns (NAFCON) as well as the North California Pilipino American Student Alliance (NCPASA) are just some of the groups behind this movement. From September 30 to October 1, San Francisco will be holding its own youth gathering with the theme “Kabataan Magkaisa 2: Kumilos Na! History Is In Our Hands.” At this conference, organizers will be launching the Kabataan Alliance. Participants gather for a group picture. © 2017 The FilAm. All images are copyrighted by their respective authors.